4k00:19Agra, India - February 11, 2018: World famous symbol of love, the Taj Mahal is a white marble mausoleum located in Agra, Uttar Pradesh, India. Visitors regularly visit here. sd00:10People walk in front of the Taj Mahal. 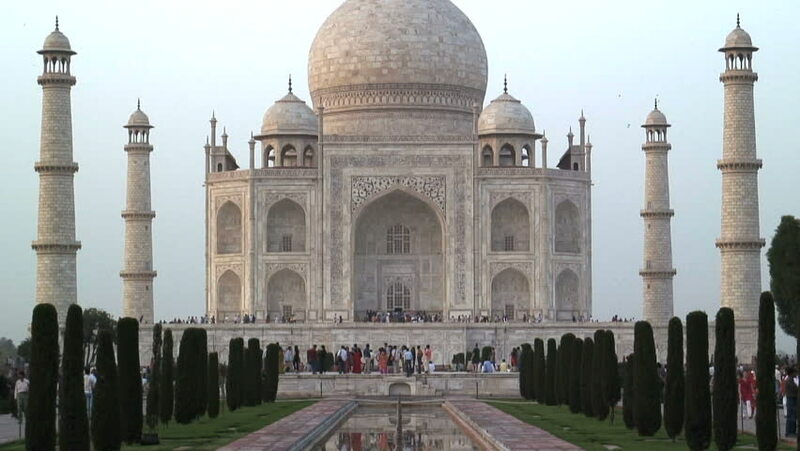 4k00:15Agra, India - February 11, 2018: World famous symbol of love, the Taj Mahal is a white marble mausoleum located in Agra, Uttar Pradesh, India. Visitors regularly visit here.